With no shortage of beautiful views on offer, sitting back and enjoying a freshly brewed coffee and enjoying some homebaked treats is a relaxing treat. Many cafes will offer homecooked scones, pastries and cakes along with light lunch options. There are plenty of cafes with lakefront views both in Queenstown and Wanaka. In Queenstown, The Mall, Steamer Wharf, Shotover Street and the Village Green have plenty of cafe options. 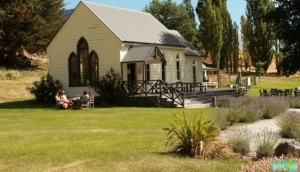 Arrowtown, a 20 minute drive from Queenstown, is a former gold mining town and is now a popular tourist spot. The pretty town, although small, has plenty of cafes off Buckingham Street.